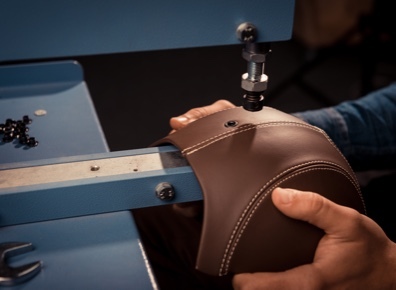 No less than ten stages are involved in the manufacture of EGIDE helmets, whether made from leather or high-tech materials, and whether for cycling or horse-riding. 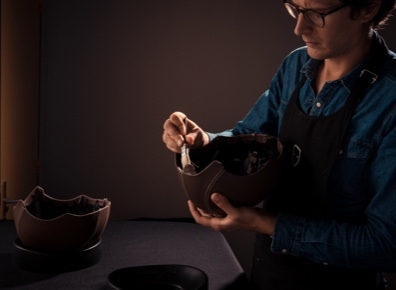 Each of these stages is carried out by hand, in Nantes and Cholet. 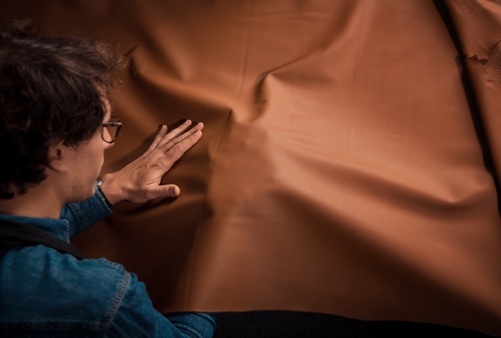 The full-grain leathers for EGIDE helmets are chosen at the most renowned tanneries. They are then treated as a mass, which ensures that they will withstand the extremes of rain, UV rays and surface aggressions. 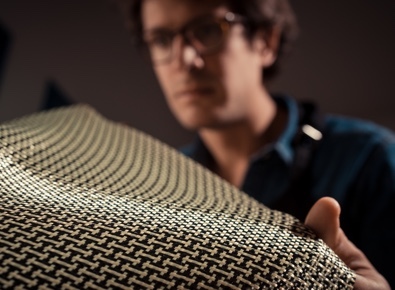 EGIDE has selected carbon, Kevlar and linen as its high-tech materials of choice. 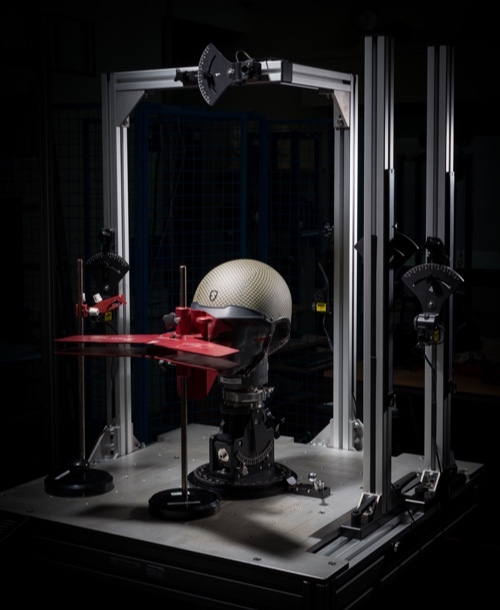 Used in the aeronautical industry, for bullet-proof vests and other protective coatings, these materials ensure that the helmets are robust, light and safe. The surface is then covered with an anti-scratch varnish. 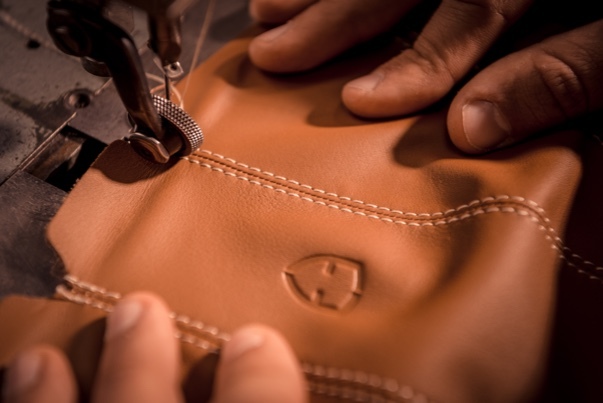 At the next stage of manufacture: the leathers are cut by hand, to ensure that only those parts which contain no imperfections are identified and selected for use by the skilled leather craftsman. 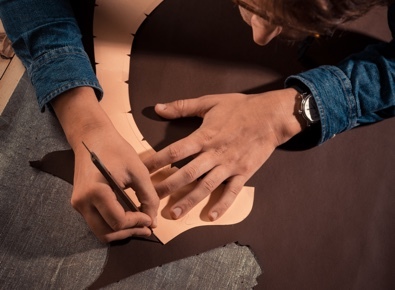 Like for leather, the high-tech materials are cut by hand, but this time using a die-cutting punch, and in accordance with strict draping plans. The craftsman’s experienced eye ensures that there are no defects in the pieces which are chosen. The seams and the stitching are done by hand, using a special thread, which is chosen for its high resistance to rain, UV rays and surface abrasions. After preparing the surfaces, adhesive is applied to the crown and the leather is then fitted on the crown. It then needs to be inspected, once dry. The component parts added at this stage are each individually inspected and weighed. The chin-strap and small air-holes are then set, the protective foam is glued on and the visor installed. The helmet and chin-strap are hot-stamped with the EGIDE logo, which completes the manufacture of this meticulous finishing process. 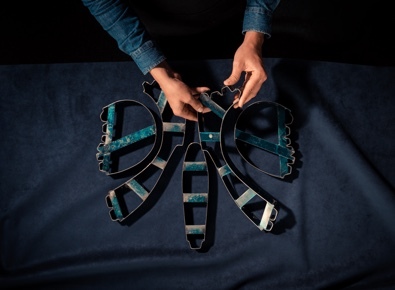 shock-absorption, chin-strap retention and compression tests are performed,… These tests are carried out at extreme temperatures (from– 20° to +50°). 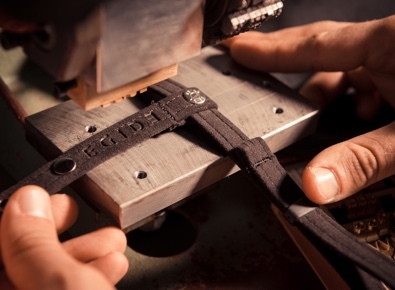 Random follow-up tests are carried out in collaboration with an accredited French laboratory. Last stage: each helmet is inspected one final time. 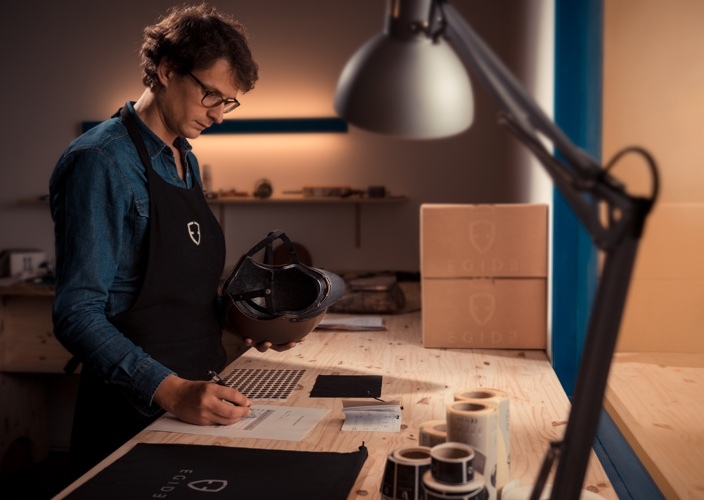 All the helmets are numbered so that each product can be traced. We then carefully pack and deliver them, together with an owner’s guidebook, in a protective, fabric bag.